As the holiday season begins, I decided to discuss some good news about real science. The promise of stem cell research just got a lot brighter. There was some very good news from the world of medicine just a couple of weeks ago. For the first time, stem cells were injected into the hearts of humans who had suffered serious heart damage, and patients improved dramatically. 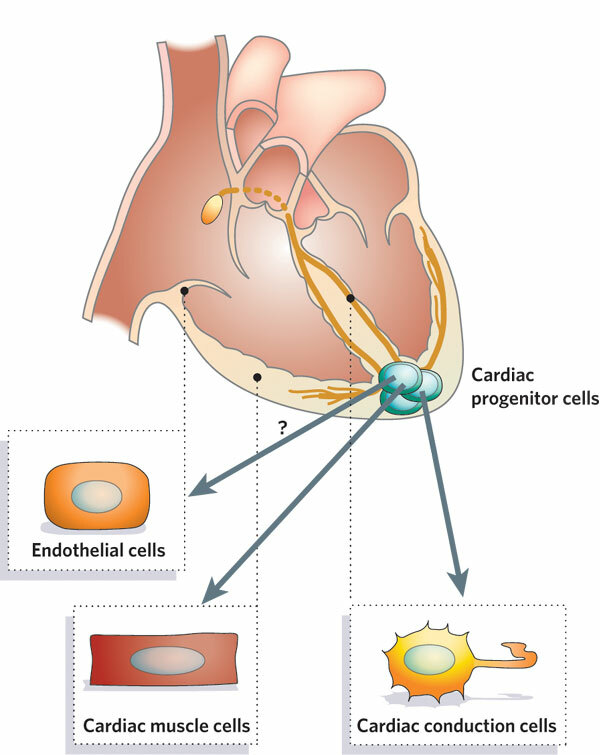 It appears that, as everyone hoped, the stem cells grew into new heart cells to replaced the damaged tissue. This is the promise of all stem cell research: to repair or replace damaged organs that otherwise would never recover. In principle, we can someday use the same technique to replace damaged livers, kidneys, spinal cords, cartilege, and virtually all other tissues in the human body. "Once you reach this stage of heart disease, you don't get better. You can go down slowly, or go down quickly, but you're going to go down." In an effort to repair the patients' hearts, Bolli and colleagues collected a small amount of tissue from each patient's own heart, and purified stem cells from that tissue. By using the patient's own cells, there is no danger of rejection as there would be with cells from an unrelated donor. They measured the patients' heart function by how much blood was being pumpled through the left ventricle. The patients had an average Left Ventricular Ejection Fraction (LVEF) of 30.3% at the beginning of the study, an indication of very severe heart disease. Four months later, the 16 patients who received the stem cells had an average LVEF of 38.5%, while patients in the control group (who didn't get the stem cells) showed no change. Even more dramatically, after one year the patients LVEF had improved further, to 42.5%. 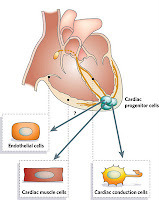 Thus, remarkably, the cardiac stem cells seem to have "taken" in these patients, growing back into healthy cardiac cells in these severely ill patients. The researchers used MRI to measure the damaged heart tissue in 7 of their patients, and found that it had actually decreased by 30% after one year. In a companion trial at Cedars-Sinai Heart Institute in Los Angeles, Dr. Eduardo Marbán reported similarly positive results. Marbán told CNN that the patients grew approximately 600 million new heart cells after the procedure, comparable to the number of cells that die in a serious heart attack. One reason these findings are especially dramatic is that they show convincingly that the human heart contains stem cells that can re-grow into new heart cells. It is entirely possible that heart damage that has always been thought to be irreversible can be completely repaired - someday. The results are very preliminary, and only a few patients have been treated so far, but this is a major triumph for stem cell research. The research in question used adult stem cells, but embryonic stem cells may prove even more effective, and may be easier to obtain because they don't have to come directly from someone's heart. * Heart disease is the leading cause of death in the U.S., and we need to pursue every possibility for new treatments. Those who oppose stem cell research - including embryonic stem cell research - should wake up and take notice: many lives are at stake. *Disclaimer: Until June 2011, I was a member of the Maryland Stem Cell Research Commission, a state commission established by the legislature and the governor to promote human stem cell research through state-funded grants. The views expressed here, as always, are my own, and do not represent the Commission. Wow! Great news. Some sources have indicated that stem cells may not live up to early hopes, so I hope this indicates that while it has taken time, we may be seeing the beginning of results. As long as SMALL minded people pushing Gov. for restrictions.